I don't usually ask for much on the holidays, but there are a few items I've been particularly fond of myself lately, and I thought I'd compile these together as a holiday wishlist (possible hint hint here). These would be perfect for the girl in your life who's super into fashion, and seems to already have all of the trendy things. They'd be equally fitting for... well, anyone, honestly! You can't go wrong with items that are timeless and classic, and will make a person feel their best. Here is my roundup, with all links and (reasonable) prices listed below. RMS Living Lumizinizer ($38) - This highlighter is a beauty cult-favorite, easy to use with its multi-use abilities and omni-flattering shine. Good for both the makeup-junkie and the simple girl who likes a quick touch-up just before running out the door. SKII Face Mask ($17) - Another cult classic. It's not an everyday mask with the price-tag attached, but amazing for an occasional treat. I love giving this as a gift, because you get to pamper yourself without any kind of guilt for splurging a bit on it. You can also get them in packs of 4 if you want to go the extra mile. UGG Luxe Tech Gloves ($75) - Gloves and one of the most handy (pun...intended) winter accessories and this is exactly the time where we are reaching for them, or can't find the other matching one. These days the touch-phone friendly version is much appreciated. Kate Spade Amaya Sunglasses ($180) - A pair of black sunglasses for that eggnog hangover, in a shape that is universally flattering on most face-shapes. Any other frame shapes are a risk as far as gift-giving goes. Diptyque Baies Candle ($34) - Everybody's favorite candle scent. Chic and luxurious, and will look great in the home. Ravella Amalfi Tank ($110) - Luxurious silk (as worn in my previous post!) that will last forever and be worn beautifully with anything. 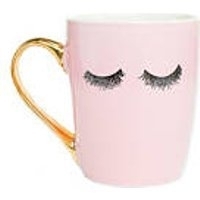 Pink Lashes Mug ($21.99) - Just a super cute find and very instagrammable! 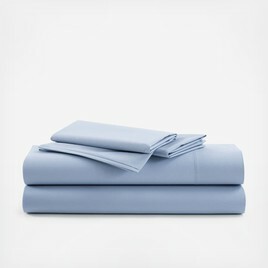 Brooklinen Luxe 4-piece Sheet Set ($158.99) - A set of rich, high-quality sheets is sure to make someone very happy - are there many things people love more than a good night's sleep? Hope the list helps! Let me know if you have any other suggestions (as I still have some shopping left to do).